Happy Birthday Indy~~may you have many more while enjoying all your adventures! Sending our very best wishes for a Happy Birthday, Indy! Thank you for sharing your birthday week with us,, we really enjoyed it! 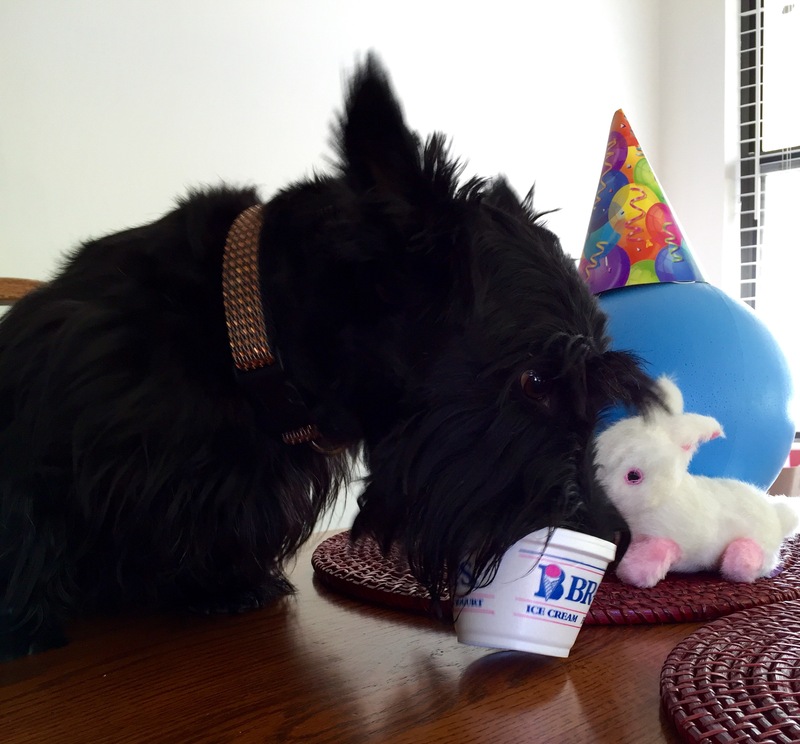 There’s nothing like having vanilla ice-cream and new toys on a 4th Birthday! Don’t sweat the mess up and have a great day. 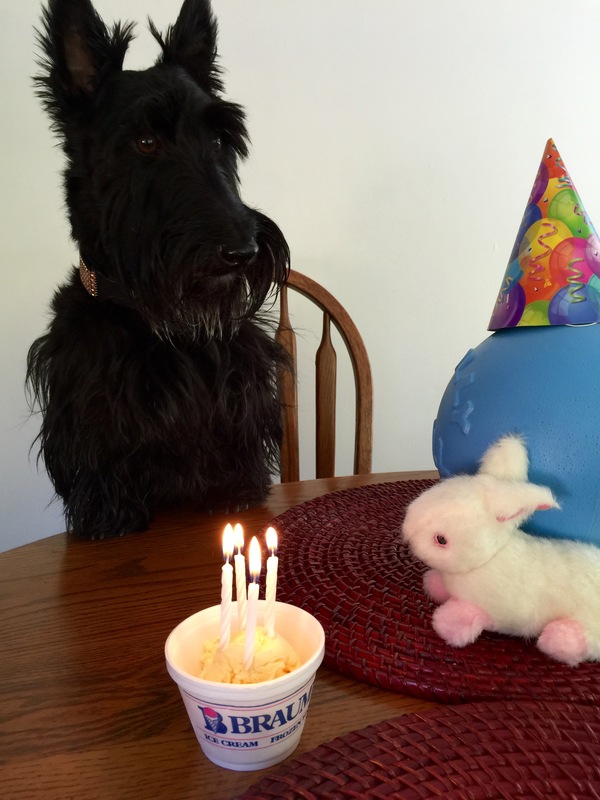 We wish you the very Bestest Scottie Birthday, and many, MANY MORE!!! We love you and hope you have a wonderful birthday and Tons of fun! You will probably have a full tummy and take a nap after playing with all of your neat Birthday toys! 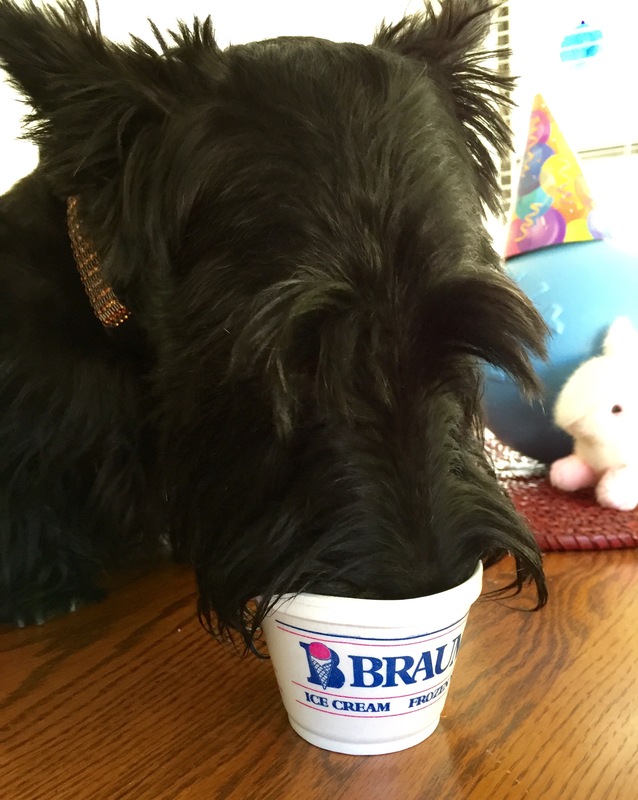 Have a wonderful Scottie Doggie Day! We send you our LOVE and Best Wishes! We wish we were there to give you a BIG Birthday HUG! Thank you. It’s been a great birthday. Your bunny looks like it wants to share with you.